Let’s be honest…. the words ‘pet friendly accommodation’ don’t usually trigger the greatest of images. And I suspect dog lovers have long accepted that hairs on the sofa and paw printed carpets are a small price to pay for Rover coming too. However, the people at Haven Holiday Parks want to not only shatter that preconception but assure dog owners that bringing your four legged friend on hols needn’t mean skimping on luxury. 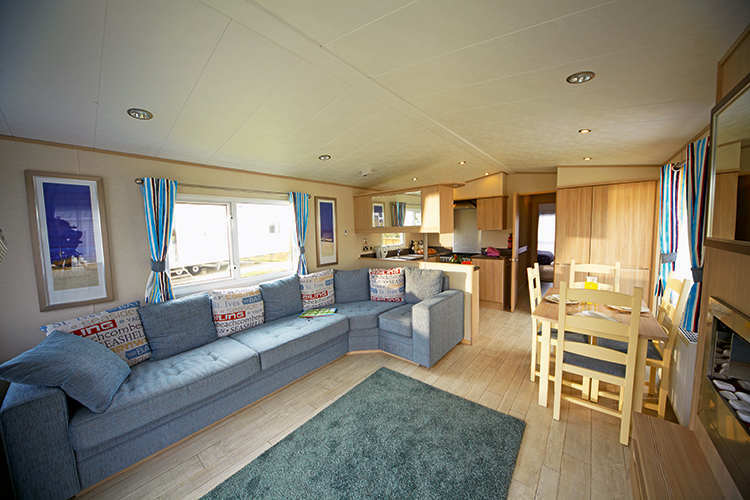 The company has launched pet-friendly standard, deluxe and prestige caravans at all but three of its 36 parks across the UK – with deep cleaning included in the cost. 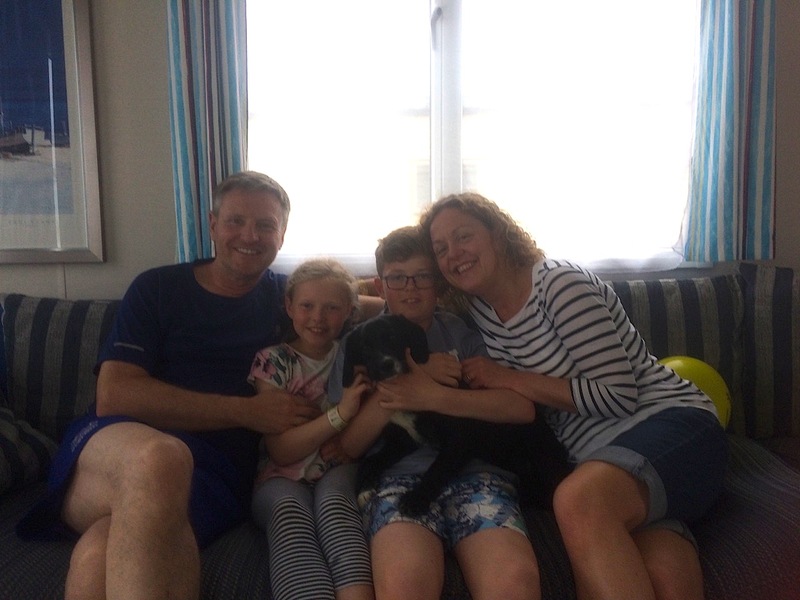 Our visit to Greenacres in Porthmadog, North Wales, this summer, was our first family holiday with Maddie, our nine month old Sprollie rescue pup. It was the first time ever we were having to include ‘pet friendly’ in our search for accommodation and, yes, we’d resigned ourselves to spending a week in the scruffiest caravan on the park. But turning the key in the door and stepping inside, we gave an involuntary ‘oooh’ (in a good way). Our accommodation was plush, practical and utterly gorgeous. It was decorated in beach chic style with light wooden floors (a doddle to sweep), plush, comfy sofas (and not a stray canine hair in sight), spick and span kitchen with plenty of storage space, spacious fridge and freezer (no teeny ice box here), two bedrooms and an en suite bathroom. Amelie and Teddy, aged 10 and 14, couldn’t wait for Maddie to experience sand between her paws so we headed straight down to the beach. The promised five minute walk there is even less than that with an eager pup champing at the bit to explore. There are three entrances; two pedestrian paths from the park itself (the main path that leads through the dunes or a handy side path that runs along the edge of the caravan park) or (handily) you can pack up the car with everything you need and drive along the main road to the beach for an all-day fee of £5. The dog-friendly Black Rock Sands is far nicer than it sounds. The only black rocks are the cliff edges at either end (and even they are grey, not black). 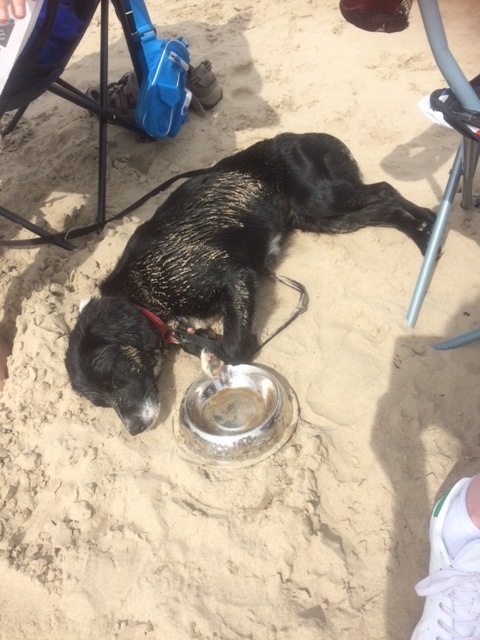 There is, however, a huge expanse of golden sands, with a backdrop of high sand-dunes, and the mountains of Snowdonia, where your mutt can run and splash in the surf to her heart’s content. We must have spent hours there over the week armed with just a slinger and tennis ball. 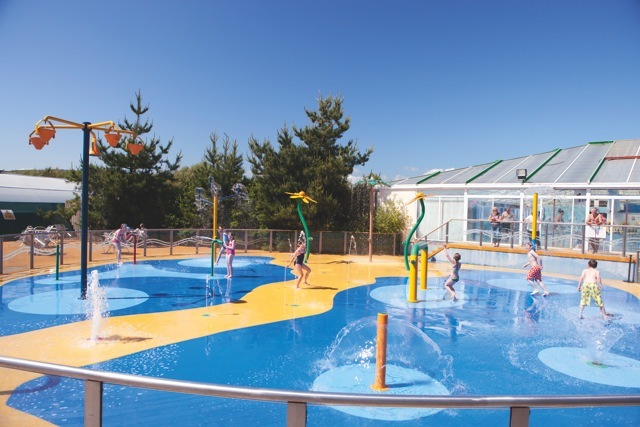 Greenacres has all the benefits of a large caravan park – a great entertainments centre including indoor pool, amusements, restaurant/bar, outdoor patio area and ‘splash zone’, and roomy slots for each caravan – but still manages to retain a friendly, personal, small-park, atmosphere. Our booking came with a ‘bundle’ of tickets for onsite activities – everything from adventure golf to shooting. We were warned to sign up early – particularly for water activities – as the slots fill very quickly. Reluctantly, I agreed – equally, reluctantly, I had to say he was right. Normally, while they played, I’d be on the sidelines watching. For the first time since I can remember, I was in there with them and having the time of my life. The half hour kayaking session included hand-paddling, relay races and team games before we were equipped with paddles. Despite being capsized twice by my son I hadn’t laughed so much in ages. Then we went straight onto aquajets – zooming through the water James Bond style. Well, it felt fast – I’m sure we can’t have exceeded a rate of three knots per hour. The best bit was aiming the jets downwards and being pulled along the pool floor in the race to collect hoops. Joining in was a blast but I drew the line at the pool party (clambering over giant inflatable assault course) and water walkerz (trying to stay upright in huge transparent balls that float on water) which the kids both loved. 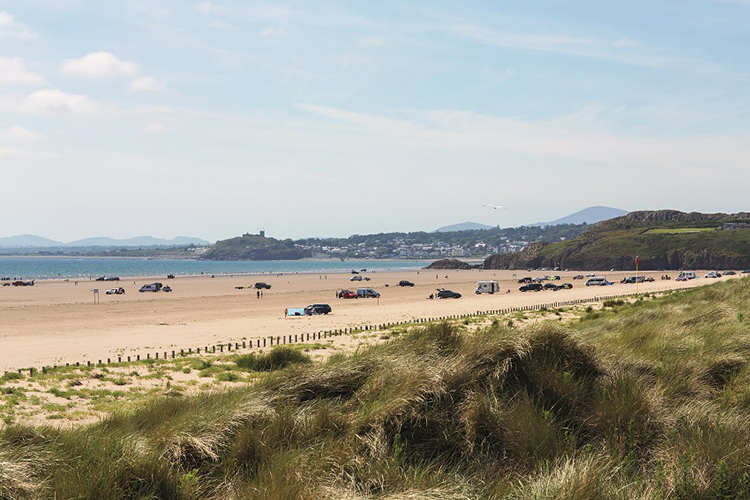 Porthmadog is perfectly situated for exploring Snowdonia – with a never-ending list of activities on its door step. Zip World has three locations just a short drive away. Unfortunately, Velocity (the longest zip wire in Europe and fastest in the world at Penrhyn Quarry, Bethesda) was fully booked (despite them moving opening times to 6.30am in a desperate attempt to meet demand) but we had a fantastic afternoon at Zip World Fforest, at Betws y Coed. Amelie wasn’t tall enough to take part in the Zip Safari (height restriction is 1.8 metres) so she and my husband, Joe, went on the brand new Tree Hoppers (a smaller version of Zip Safari) while Ted and I watched with Maddie. Then we swapped over and it was our turn to take to the trees. I was a bit panic-stricken to learn that Safari goers take full responsibility for their own journey. (When it comes to activities with an element of danger I like to be spoon fed). 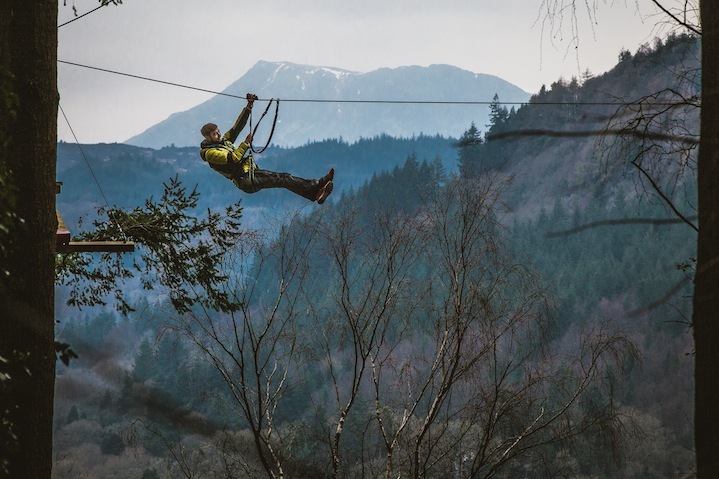 You’re shown how to get into the harness and work the magnetic clips that attach you to the zip wire and are only allowed out on the 565metre long zipwire course that runs through the trees once you’ve demonstrated competence at it. (Let’s just say I was on the ‘practice wire’ for a considerable time – much to my son’s frustration). Starting at barely off ground level (zip-wiring just a few inches off the floor) means that you gradually work your way around the course – taking in higher and higher zip lines (23 in all) and six rope course obstacles (like bridges). Before you know it, you’re confidently zipping your way between trees an eye watering 60 feet high. Considering that, only last year, I had to be pushed off a zip wire that was only eight feet high I was shocked at how well I did and how easy and enjoyable it was. Also at the site was the Fforest Skyride (a G-force swing) and Plummet (dropping from a height – neither for the faint-hearted), and the forest echoed with triumphant shrieks and squeals of terror and delight. 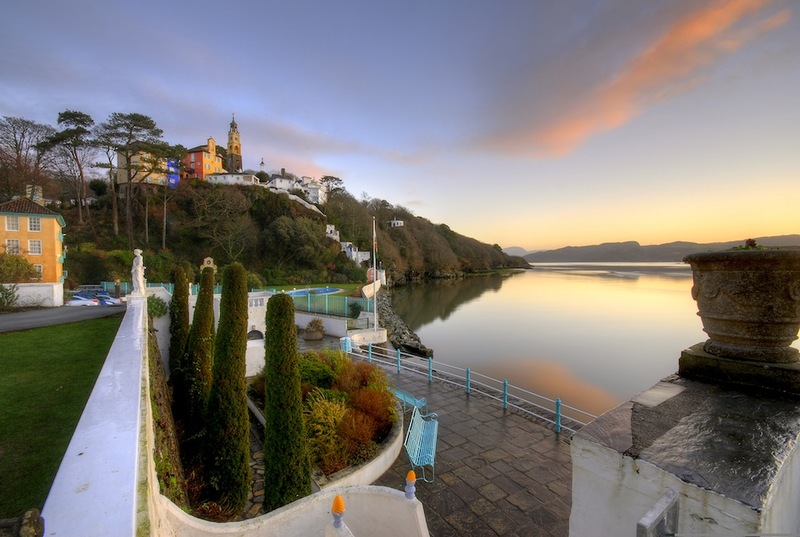 Just a five minute drive from Porthmadog town centre is Portmerion – the breath-takingly beautiful, surreal, Italian-style village created by architect Sir Clough Williams-Ellis between 1925 and 1976. Unfortunately, dogs aren’t allowed so you’ll need to factor this into your day out. Amelie and I had a nice few hours ambling around the gardens and wooded walks (and taking in an ice cream) while the boys entertained Maddie back on the beach. With quirky gardens, pretty walls, tall turrets, arches and fountains it’s a cross between Alice in Wonderful and the setting of your most off-the-wall dream. 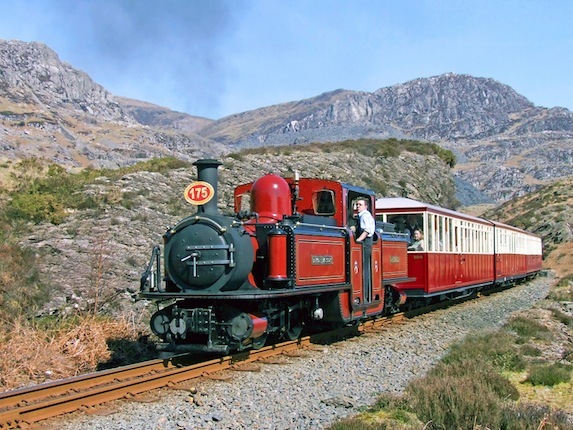 For a breathtaking view of Wales you’ll never see from the road, by bike or even on foot, taking a trip on the legendary steam Ffestiniog Railway (the oldest operational railway company in the world – founded in 1832) is a must. Starting in Porthmadog’s harbour station, the railway crosses the Cob embankment before turning inwards and climbing 700metres right into the Snowdonian mountains; you’ll pass within touching distance of houses, squeeze through narrow embankments and tunnels, and skirt bubbling brooks and waterfalls before reaching Blaenau Ffestiniog… ‘the town that roofed the world’. Traditional carriages with a buffet service means it has all the charm of the Hogwarts Express and all the comfort and reliability of an Inter-city. 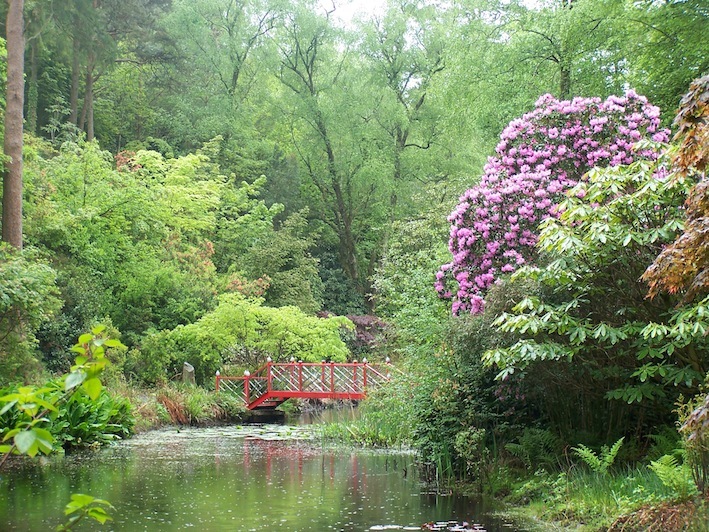 The 75 minute journey takes in two more tiny stops of Minffordd and Tan-y-Bwlch (which features woodland walks, station café and children’s play area) where you can get off and explore – turning your trip into an entire day out. 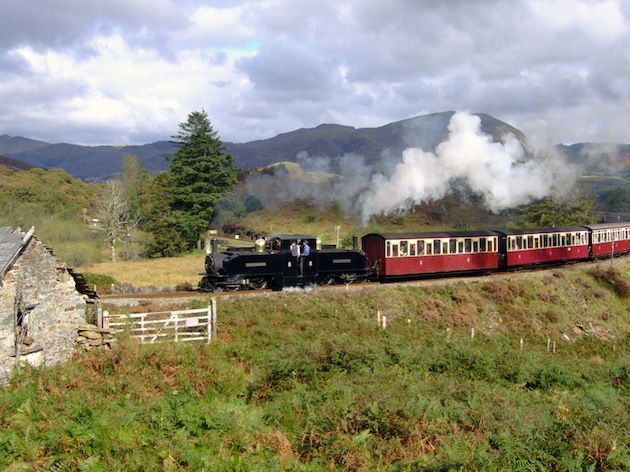 Allow at least a one hour stop at Ffestiniog for the return journey (although you can return on any train). 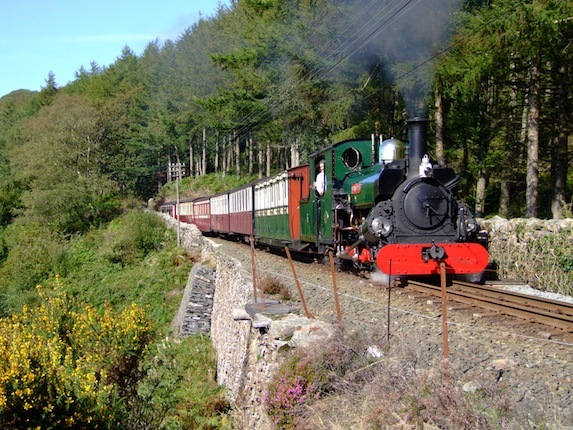 Alternatively, from Porthmadog you can travel the coast to coast route on the Welsh Highland Railway – to Caernarfon (taking in Beddgelert, Rhyd ddu and Waunfawr). To make our spending money go further we packed lunches and flasks for our days out then stocked up at either Aldi, Lidl or Tesco in Porthmadog town centre for simple dinners back in the caravan. There’s also a handy on-site shop (for emergencies like tweezers and nail clippers) that we used most days for newspapers and milk. However, a holiday isn’t really a holiday without at least one evening of no washing up; we enjoyed a tasty, excellent-value, dinner at the Mash and Barrell – the entertainment complex bar and restaurant. Four main courses (including Hunter’s Chicken, gammon, and traditional fish and chips), plus two desserts, and drinks came to just over £50. After an action-packed week we feel we’ve barely scratched the surface of this glorious part of Wales. 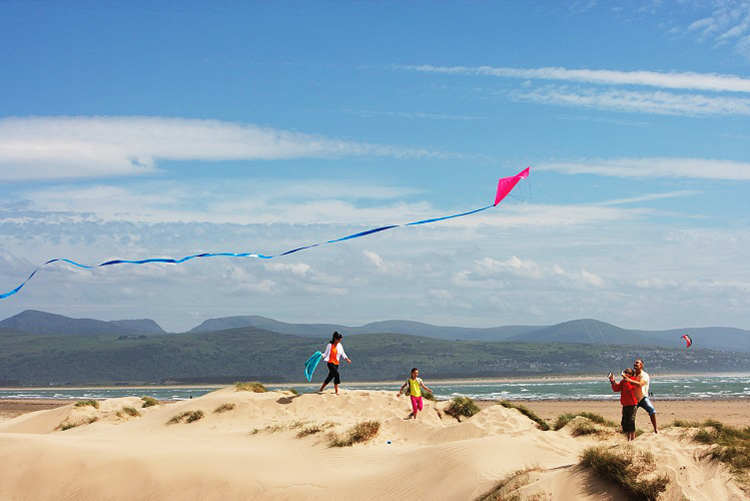 There is so much more to see, do and explore (Harlech and Caernarfon Castle are all close by), plus opportunities for surfing, trekking, cycling and, of course, a climb up a certain mountain. 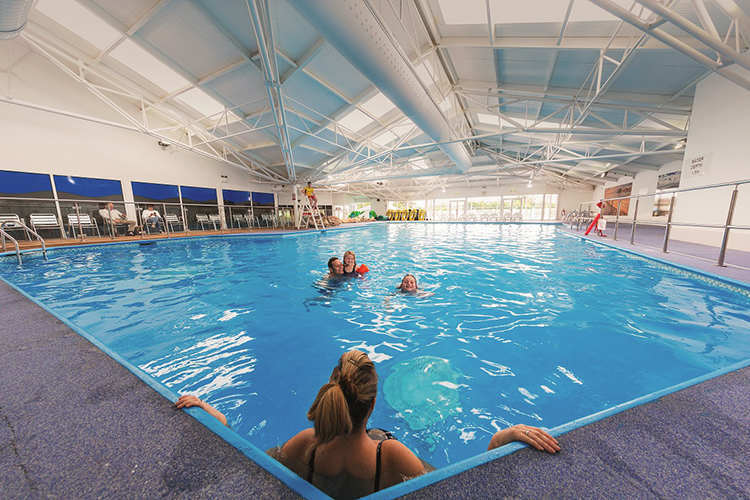 Greenacres Holiday Park in Porthmadog: see haven.com or call 0333 202 5250. Haven offers four night self catering holiday from £556 per family. Price is based on a family of six sharing Deluxe Pet Friendly accommodation during school summer holidays and includes family friendly entertainment. Holiday makers can bring two dogs per pet friendly accommodation. The three parks that do not offer standard, luxury or prestige caravans for dog lovers are Burnham-on-Sea, Riviere Sands or Lydstep Beach. Portmeirion: www.portmeirion-village.com Entry is £12 for adults (£11 on-line) or £8 for children (£7 online). The Ffestiniog and Welsh Highland Railway: see www.festrail.co.uk The Ffestiniog Railway tickets are £24 for adults (with a free child’s ticket with each adult ticket purchased. Additional children travel at half the adult price. Each dog or bike costs £3 extra. For details see festrail.co.uk. Tickets on the Welsh Highland Railway are £39.80 return for adults (with the same rules relating to child and dog tickets. Zipworld: See Zipworld.co.uk. Zip Safari costs £40 per person or £140 for a group of four. Velocity costs £70 per person.